Sweeping changes in US health care include plans for increasing access for the 50 million under- and uninsured Americans. Health care reforms have contributed to a surge of new users tapping into a system already challenged by a rising senior population in need of care and an explosion of outpatient and chronic care needs. In the dozens of health professional shortage areas and medically underserved areas in Wisconsin, residents’ lives hang in the balance due to limited access to primary care. State authorities, in response, are looking to advanced practice nurses to meet health care needs in these areas. The demand for APRNs is growing proportionally to the need for primary care in birthing centers, hospitals, clinics, and community health centers. Advanced nursing professionals deliver safe, high-quality care and Wisconsin state laws are designed to position them to lead change and advance health. To date, the state requires professional nurses to complete a formal graduate education at the master’s degree level to practice in any of the four APRN roles. With their education, certification, and training, they have the ability to perform many of the primary care duties that a physician performs. Moreover, patients experience similar outcomes when treated by an advanced practice professional as compared to a physician’s service. However, the cost of care may be significantly cheaper with APRNs. The Master of Science degree in nursing is designed for nurses who need the advanced practice skills to deliver and organize the health care delivery process. Nurses prepared at this level are able to function as an expert clinician but may also function as a member of faculty for nursing education programs. The curriculum emphasizes the clinical role of the nurse and seeks to develop an expert base of advanced clinical skills and knowledge. The program will include a core curriculum, which all students, regardless of specialty, will complete. Core areas may include research, health care policy, ethics, health promotion and disease prevention, professional role development, human diversity and social issues, advanced pharmacology, advanced physiology and pathophysiology, and advanced health and physical assessment. These core areas prepare the graduate for the utilization of new knowledge in the provision of care, the understanding of health care policies, the application of ethical decision-making, and the evaluation and utilization of the appropriate theory within practice. At the conclusion of the program, the graduate must possess strong critical thinking and decision-making skills to critically assess, plan, intervene, and evaluate the health of individuals, families, and communities. Effective written and oral communication are also essential for the transmission of outcomes. Advanced practice nurses may practice independently to provide a range of services, including diagnosis, health promotion, assessment, and the management of client potential. A clinical aspect of the MSN program provides opportunities for students to put their knowledge base to practice in an extensive clinical setting. The direct patient care experiences are what make the clinician in any of the four advanced practice roles. RN to MSN: A registered nurse with an associate’s degree in nursing can delve in a master’s program and prepare for advanced practice in a much shorter time than it would take to complete a bachelor’s degree followed by a master’s degree. Some programs let nurses take graduate level courses alongside the undergraduate prerequisite courses. Others may require students to complete the undergrad requirements in preparation for graduate study. 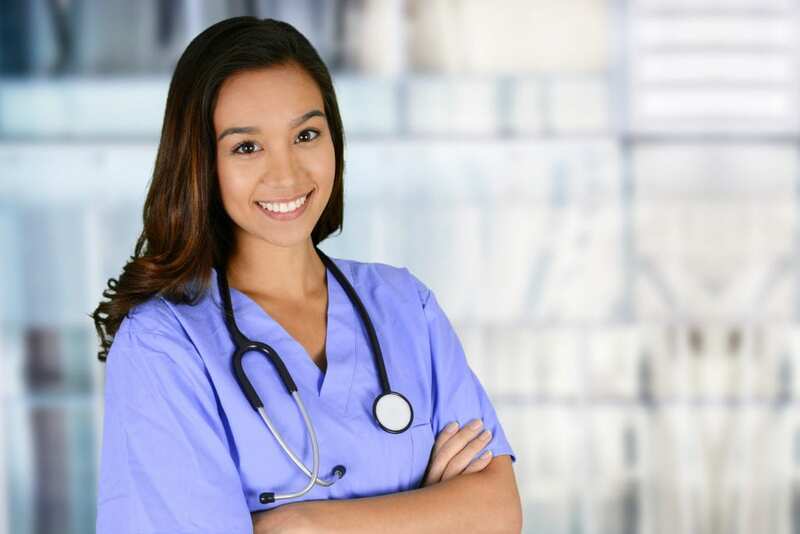 Direct Entry MSN: Armed with a bachelor’s degree in nursing, or related field, you can apply for entry in a direct MSN program and graduate in 18 to 24 months. You must be a licensed nurse, and experience may give you an advantage in the competitive enrollment process. Graduate level courses will begin at the onset, so you’ll have to identify your specialty role and population focus before admission or sometime shortly thereafter. Post-Master’s Certificate: Your selection of a post-master’s certificate program will depend on your intended area of study. Since the program is designed for advanced practice nurses, you need to present documentation of completing a master’s degree from an accredited institution and hold a license to practice at the advanced level. These fast-paced certificate programs may be completed online in as little as 4 semesters. Submit an application for entry before the program’s deadline. Request official transcripts of your prior education to be sent directly to the university’s admissions department. All transcripts should be from an accredited program and reflect a GPA of 3.0 or above. Provide a copy of your registered nurse license or APN license if applying for the post-master’s certification. Submit letters of reference – the number and source will be based on the school’s requirements. Submit transcripts or other documents of completing the program’s prerequisite courses. Compose and submit your personal statement of intent. The average cost of tuition within the University of Wisconsin system is $576 per credit. Most MSN courses are three credits and will cost $1,728 for the 2016-2017 school year. In addition to tuition, you’ll need to pay for a background check, the application processing fee, graduation fee, books, supplies, insurance, and other costs that are unique to nursing students. Although graduate study can be expensive, financial aid, grants, scholarships, and employer incentives can help you to meet your academic goals. Submit your application for Federal student aid early and research all possible sources of funding before beginning the application process. In some cases, financial aid may be available if you complete a specific number of credits per semester. Your employer may also have terms of tuition reimbursement or upfront funding of your education. To practice at the advanced level in Wisconsin, you must apply for registration as an Advanced Practice Nurse Prescriber or a Certified Nurse Midwife. Have current certification from a national certifying body, approved by the Board, as a nurse practitioner, certified nurse-midwife, certified registered nurse anesthetist, or clinical nurse specialist. Hold a master’s degree in nursing or related field from an accredited college or university. Have completed at least 45 hours of education in clinical pharmacology/therapeutics within three years of applying for a certificate to use prescription orders. Pass the jurisprudence exam for Advanced Practice Nurse Prescribers. Complete the application Form #2124 in its entirety. Attach the processing fee of $75 for initial credentialing and $75 for the state law exam. The total fee is $150. Make check payable to DSPS and attach to the application. Complete Form #2367 (Certification of Master’s Degree). Complete the applicant’s section then forward to the college or university where you received your master’s degree. The registrar should complete the form and return directly to the Board of Nursing. A Form #2367 submitting by an applicant will be rejected. Submit verification of your current national certification. Contact the national certifying body in which you received your certification and request verification be sent directly to the Board of Nursing. Complete the online, open-book jurisprudence exam on Wisconsin’s Statutes and Rules for Advanced Practice Nurse Prescribers. Take the exam after the Department receives and processes your application. The exam results will be posted to your online checklist. Submit proof of malpractice insurance coverage. You must maintain malpractice insurance to practice independently or complete Form #2157 if you do not carry personal liability coverage. The completed form must indicate the type of coverage provided under a group policy. Documentation of completing 45 contact hours in clinical pharmacology/therapeutics within three years preceding the application for certification. Every APNP who is certified to issue prescription orders must submit to the Board of Nursing each year documentation of current malpractice insurance in the amount not less than $1,000,000 per occurrence and $3,000,000 for all occurrence in one year. If you’re currently licensed as a professional nurse and completed an educational program in nurse-midwifery (at a program that is approved by the American College of Nurse-Midwives), and hold a certificate issued by the American College of Nurse-Midwives, use the following guidelines to apply for certification from the Board of Nursing. Complete Form #407 – Application for Certification as a Nurse-Midwife in its entirety. Attach the $75 initial credential fee. Make check payable to DSPS. Complete Form #2551 – Certification of Nurse-Midwifery Degree and forward to the college or university where you received your nurse-midwifery degree. The registrar should complete the form and forward directly to the Board of Nursing. Submit a request to the American College of Nurse-Midwives to send verification of your certification directly to the Board of Nursing. The Board may grant a temporary permit if you applied for certification as a nurse-midwife and wish to practice before the Board determines your eligibility for certification. The temporary permit fee of $10. Attach to the form #407. A completed Form #2610 – Certification Form for Malpractice Insurance Coverage for Nurse-Midwife. A completed Form #2459 – Request for Temporary Permit for Nurse-Midwife. Evidence of current licensure to practice as a professional nurse in Wisconsin. Temporary permits are valid for a 6-month period and may be renewed for an additional 3 months. Further extensions may be granted in cases of extreme hardships – but will not exceed 12 months. You are not eligible for a temporary permit if you failed the American College of Nurse-Midwives exam. APNP licenses expire on September 30 of even-numbered years. To renew your license, you must submit the renewal fee of $82 or $107 with a late fee. Your signature as confirmation that you completed the continuing education requirements. A completed Form #2915 with your paper renewal to confirm current liability insurance. Current national certification or Continuous Competence Assessment (CCA) Cycle. You may renew your license online or call the Board of Nursing to request a paper renewal form. If you’re a service member or spouse of a service member, your license will be extended while you’re on active duty for a period of 90 days to 180 days from the date of discharge. Nurse-midwife licenses expire on February 28 or 29 of even-numbered years. To renew your license, you must submit the renewal fee of $86 or $111 with a late fee. Your signature confirming up-to-date malpractice insurance. Complete the Nursing Workforce Survey. You may complete a shortened version of the survey outside of the active renewal cycle. Report your state of primary residence. Contact the DSPS if your legal status as a qualified alien or nonimmigrant lawfully present in the US has changed. Your registered nursing license will renew automatically when you renew your Nurse Midwife license. It will not renew if your primary residence is another compact state. To renew your APNP license, you must complete at least 8 contact hours of clinical pharmacology or therapeutics training in your area of practice. The continuing education must be completed through your national certifying body.